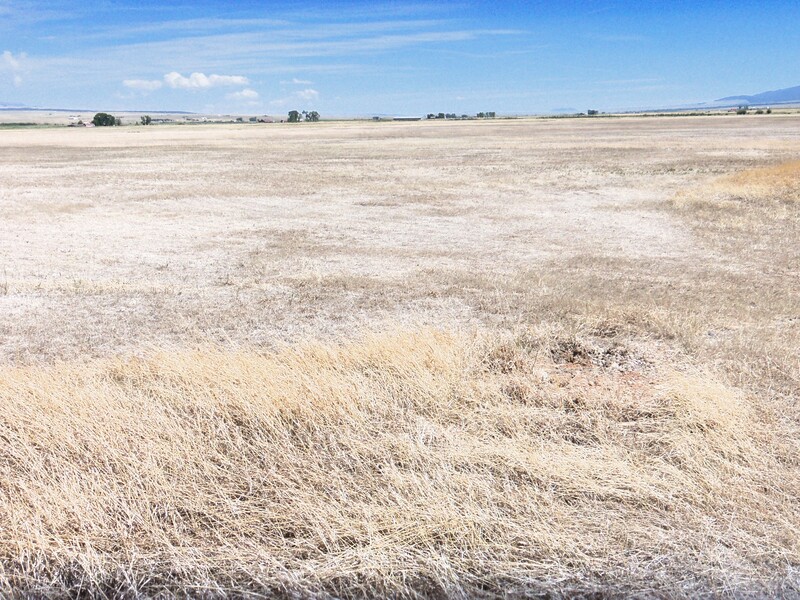 One blog back, I mentioned that Custer County is bone dry. Walking across our “lawn” I hear the snap, crackle and pop of bubble-wrap or peanut shells or… ohmygosh! I’m hearing the dry grass splinter beneath my feet! Currently, what is the county-wide status of our water? Does the county need a water augmentation plan to accommodate future growth? Is there a mechanism to prevent ranchers from selling their water rights outside the Valley? This past Saturday’s Water Advisory Committee meeting (“Water today, tomorrow, and actions for the future: analysis, findings, and recommendations,”) was the third of such informational community discussions. Chairman Allen Butler opened by saying that at the conclusion of the second WAC meeting, he had asked for a show of hands. His question was, “Do you feel that you have enough information to make an informed decision?” Only two attendees raised their hands. At this most recent, June 25 meeting, Butler hoped that more people would raise their hands. Butler added that all data to be presented was official data, “not something my wife typed up several years ago.” Data was sourced from County Planning and Zoning, the Assessor’s Office, the GIS database, and the U.S. Census . A 31-page handout followed the power-point presentation. Of key concern were the five-acre subdivisions in the eastern foothills of Zone IV. At present, all subdivisions are in compliance with augmentation plans. Blumenau #3 is near its maximum use of acre-feet: however, the sub-division could lease water from Blumenau #1 and 2. As to whether we have a water problem today, the advisory committee’s findings indicate that counter to hearsay on the street, Custer County does not have a water problem. As to the future, the committee looked at land sales and population growth. Since 2002, vacant land vs residential sales have fallen. In 2002, 68% of sales were for vacant land. At present, sales are evenly divided between residential and vacant land. Total sales have fallen from 435 sales in 2002 to 198 sales in 2010. Projecting a 3% growth over the next ten years (an inflated projection given that the actual growth rate over the last ten years was 1.88 percent), the increase in the number of wells in 2020 would be between 63 and 99 new wells – depending on whether the land already had a well or not. The members and participants of WAC will present their recommendations to the County Commissioners on Thursday, June 30. The H20 Ranch after the water sale. These recommendations include the county’s adopting “tailored 1041 powers which regulate large water projects of state interest, can require a land developer to identify possible water impacts and can require mitigation actions to off-set water loss as in the case of the April 2008 sale of H20 Ranch and 700 acre-feet of water to the City of Fountain, Colorado. According to Doug Cain, WAC member and retired USGS hydrologist, if we’d had 1041 powers, the sale of the H2O Ranch water may not have happened. WAC member Joe Arbuckle, added that 77% of Colorado counties have adopted 1041 powers. Additional recommendations include being more informed and proactive regarding water, re-evaluating the situation in a fixed number of years, supporting the USGS hydrology study, and insuring that county commissioners are included in any new augmentation plan under consideration. As for the presentation itself, it was thoroughly professional: it was based on official data and in coordination with the Colorado Division of Water Resources, the State Engineering Office, and the Upper Arkansas Water Conservancy District. The sale of the H2O water may have been a blessing in disguise; we have awoken from our slumber. I feel a growing groundswell of public awareness: water is a finite quantity, and we must protect what we have. Drought impacts more than just superficial domestic watering. Yesterday I drove over to photograph the H2O Ranch. My thinking was to take a photo of the dry ranchland and contrast it with another picture of a lush ranch. I took the photo of the dry ranch, and then I drove south along the Valley floor. I was looking for a lush, mouth-watering green ranch. The green grass I saw was spindly and unappetizing. Rancher Keith Hood estimates that his hay crop will be 20% of average this year. At the conclusion of the meeting, Allen Butler asked again for a show of hands. “How many think they have enough information to have an opinion?” There were quite a few hands; certainly more than two. Not everyone raised his hand, but everyone was very appreciative of the time, effort, and good-intentions of the committee. I need to know more about 1041 powers, but otherwise, I would have raised my hand. The only question not answered was posed by Sue Pittman who asked, “Have you considered a continuing drought?” I thought her word choice clever. She did not mention global warming which would have pushed the buttons of the nay-sayers; nevertheless she hinted at projections that do not follow a normal trajectory. Given the extreme weather patterns we are now experiencing and the expectation that they will continue to worsen, can we assume that we can predict water conditions in 2020? We can plan for 2020 water demands, but local plans will not affect 2020 global weather.